This week, Congressional Republicans cleared important procedural hurdles on the path to repealing several components of the Affordable Care Act, including the individual and employer mandate penalties. GOP infighting, however, continued to prevent any consensus on the timing of replacement legislation. Both the House and Senate passed a non-binding budget resolution that paves the way for the Senate to pass an ACA repeal bill through the filibuster-proof reconciliation process. Lockton comment: The budget resolution doesn’t contain actual repeal language. Instead, it directs specific committees in Congress to prepare language reconciling the resolution’s budget objectives with current law. The language these committees will prepare, to implement that reconciliation, will provide for the repeal of the ACA, at least in part. The committees are asked to prepare that language by Jan. 27. One of the many curious aspects of the recent presidential election was the virtual absence of discussion about America’s health. To be sure, the Affordable Care Act, also known as Obamacare, was front and center, but the Obamacare debate has largely been about the costs of care and insurance coverage. Neither candidate devoted much airtime to the return America is getting for spending over 17 percent of its gross domestic product on health care. The short answer is not nearly enough. More than a decade ago, some of my RAND colleagues published a seminal study indicating that adult Americans, on average, receive roughly half of recommended care (e.g., an important lab test or the right medication for a diagnosed condition). This finding held across various types of care—preventive, acute, chronic—and across an equally varied set of conditions, as well as for a range of geographic areas and for different demographic subpopulations, like children and the elderly. Unfortunately, there is no reason to believe that things have improved since the study was published. Everyone’s familiar with the term “house money.” When you’re playing with house money, you’re gambling or spending money that’s not actually yours, so the perceived risk is lower than it would be if it were your money. Therefore, the care exercised in the use of those “house” funds is correspondingly low, sometimes to the point of being nonexistent. Christine Eibner, a senior economist at the RAND Corporation, led a team that analyzed parts of the proposed health care plans of the two major parties’ presidential candidates, Hillary Clinton and Donald Trump. The team modeled those proposals for which they were able to obtain sufficient detail. In this Q&A, Eibner talks about what they found and how RAND’s COMPARE microsimulation model—a computer program that uses economic theory and data to simulate the effects of health policy changes—was used to carry out the analysis. The researchers estimated the likely effects of each policy relative to the Affordable Care Act in 2018 (if it were unchanged) on the number of people with health insurance, consumer out-of-pocket spending and the federal deficit. Funded by the Commonwealth Fund, the analysis can be found in its entirety on the Commonwealth Fund website. Open enrollment season is under way, and when workers get their health-plan information, many of them can expect higher out-of-pocket costs. As employers cope with rising health costs, some are shifting more of the burden onto their workers, often in the form of health insurance plans that carry high deductibles. To help rein in expenses, businesses also will ask their employees to take part in cost-cutting drug programs and use new services that provide Skype-like video consultations with doctors, according to several studies tracking employer health care. Health-care costs at large U.S. businesses are expected to rise 6% in 2017, according to an annual survey of 133 major companies offering coverage to more than 15 million Americans by the National Business Group on Health, or NBGH, a nonprofit association that focuses on employer-provided health care. Changing unhealthy habits is hard, doctors say. But with Americans suffering from chronic disease in epidemic proportions, a big push is under way to get more individuals to do just that. Large employers, insurers, health-care systems and other organizations are increasingly turning to “wellness coaches” to motivate people to adopt healthier lifestyles. These programs typically include counseling to get patients to understand how behavior affects health, along with techniques such as meditation and goal-setting to help individuals make needed changes and stay on course. It’s all part of a broader shift within the health-care industry toward keeping people well instead of simply treating them when they’re sick. The stakes are high: The Centers for Disease Control and Prevention calls lifestyle-related chronic disease such as obesity, Type 2 diabetes, hypertension and cardiovascular disease the greatest health challenge of the 21st century. 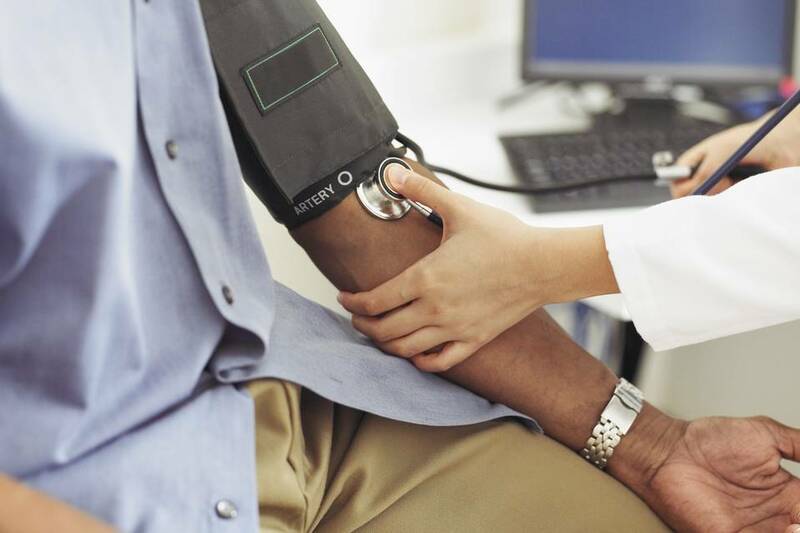 The CDC estimates that half of all adults in the U.S., or 117 million people, had one or more chronic health condition in 2012, accounting for 86% of all health-care spending. Telemedicine offers patients the chance to meet with a doctor, 24/7, without leaving home. But many physicians are wary of participating because they can’t peer into patients’ ears, look down their throats or listen to their lungs remotely. 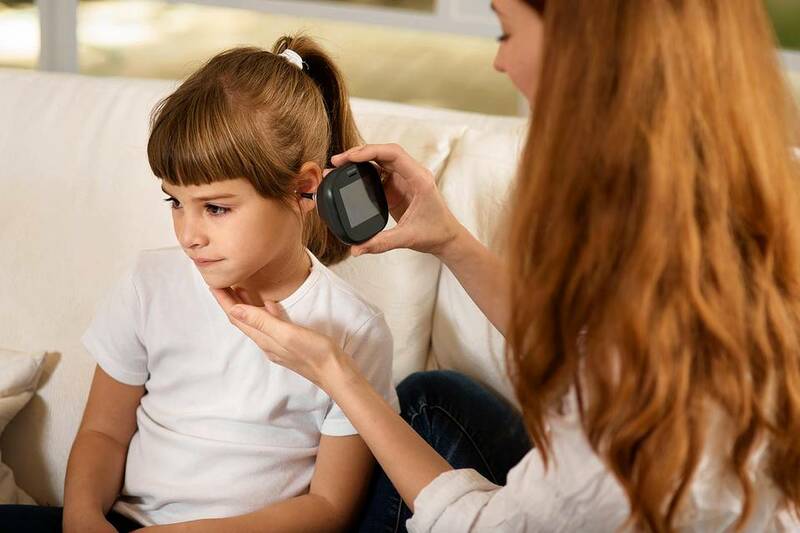 A new genre of home diagnostic devices aims to address those concerns by giving patients some of the same tools that doctors use during in-office exams. Think part Star Trek Tricorder, part Harry Potter Extendable Ear. The closest to market is Tyto, a hand-held gizmo about the size of a softball. One attachment works like a stethoscope to capture and record a patient’s heartbeat and breath sounds. Other attachments allow a built-in camera to get a good look at patient’s tonsils and into the ear canal. The camera can also take high-resolution photos of skin lesions, rashes and moles. All the images, sounds and readouts can be shared with a doctor over the internet in real time or stored in a software program for later use.